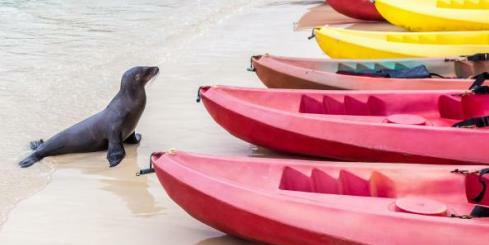 Take a 7-day cruise to the Galapagos Islands aboard the Isabela II. 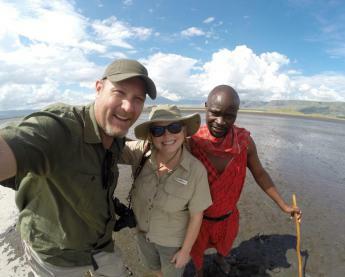 Learn about the history of the islands, view the famous giant Galapagos tortoise, and swim with sea lions on the islands of Genovesa, Fernandina, Santiago and more! 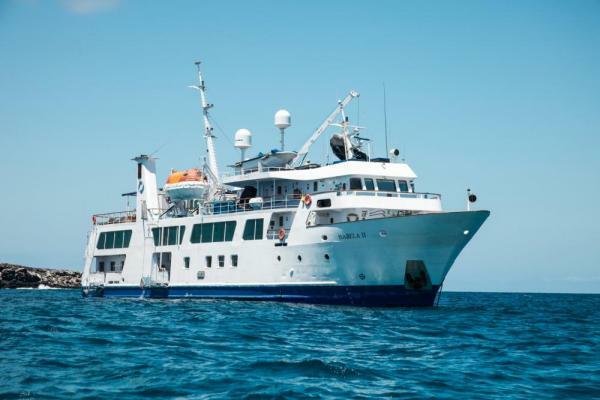 This 40-guest vessel, with 20 outside cabins plus a master's suite, offers an elegant yet relaxed atmosphere for experiencing the full adventure of the Galapagos Islands. 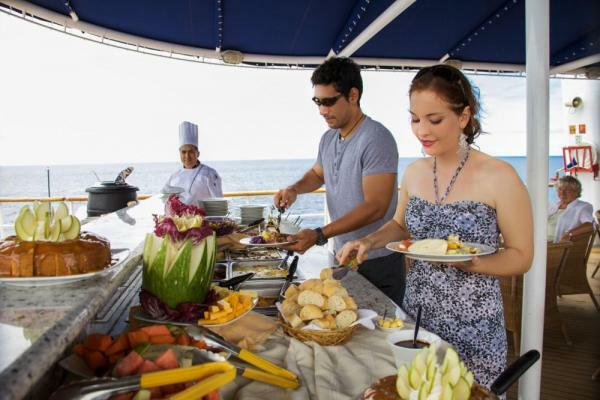 Guests on board the Isabela II fully experience their sense of discovery and bonding with nature. 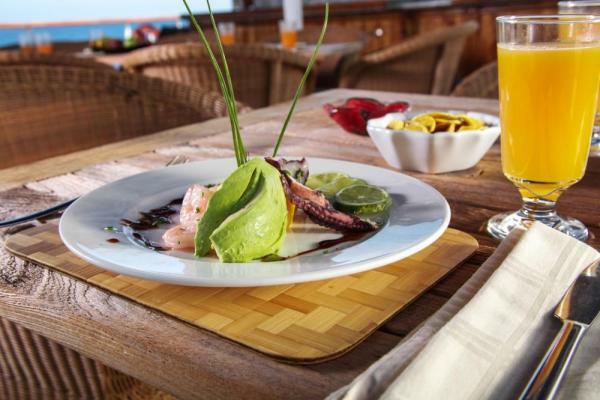 Expeditions from the Isabela II offer all aspects of the Galapagos: an intimate contact with wildlife, active volcanoes, a vast Marine Reserve, adventure, comfort and safety. The yacht is fully air-conditioned. 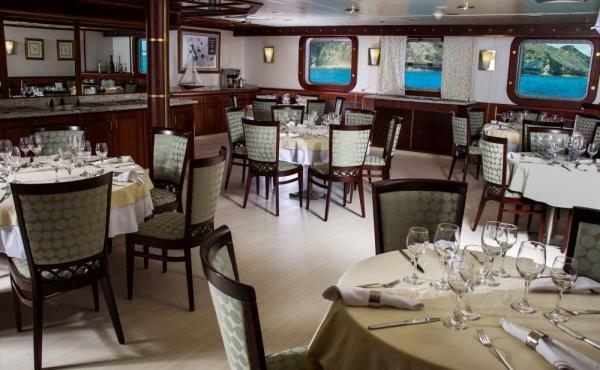 Her three public decks offer the amenities of a larger vessel, including bar-salon, dining room and sun deck. 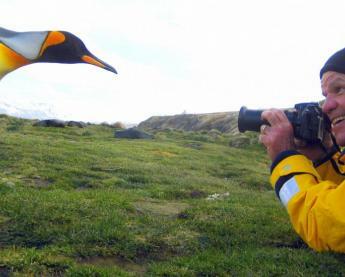 The library contains a large selection of reference books on Galapagos and Ecuador, as well as excellent nature and conservation videos, making this reference library the most complete source of information of any Galapagos vessel. 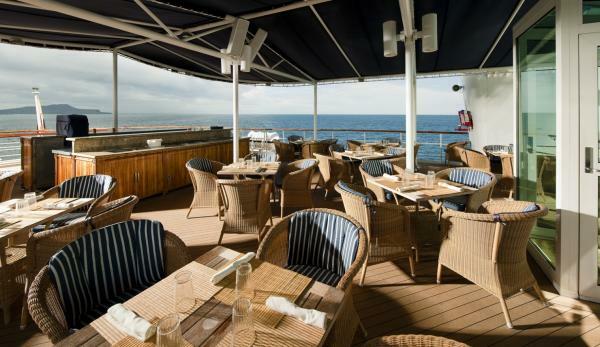 The sun deck is comprised of a bar with ample outdoor seating, an observation area for whale and dolphin watching, a jacuzzi and solarium. 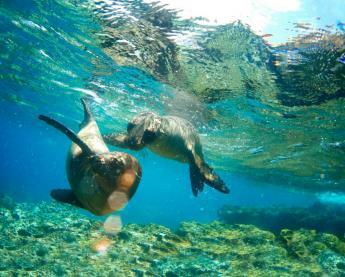 As an alternative to snorkeling, the glass-bottom boat offers another opportunity to observe the Galapagos' rich marine life. 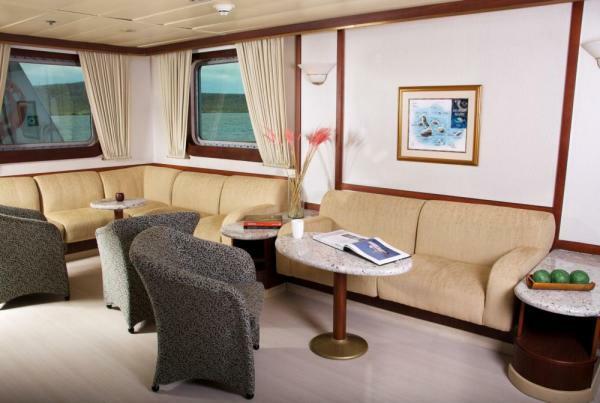 The Isabela II offers her 40 guests comfortable accommodations in 20 outside cabins. 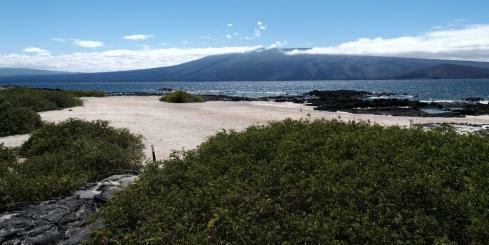 The spacious cabins range in size from 170 square feet to 128 square feet. 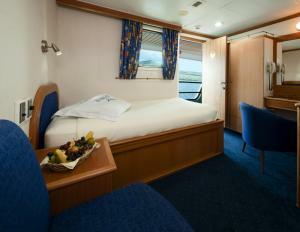 Fully air conditioned, all cabins are spacious have safety boxes, storage and private en-suite bath facilities. Bathrooms are equipped with amenities including hair dryers. 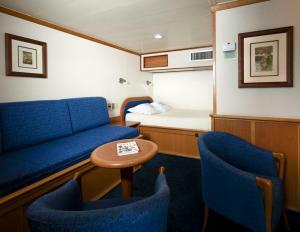 1 cabin with double bed. 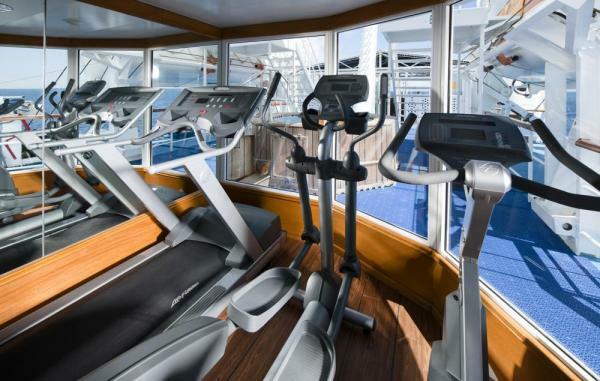 Located on the cabin deck. 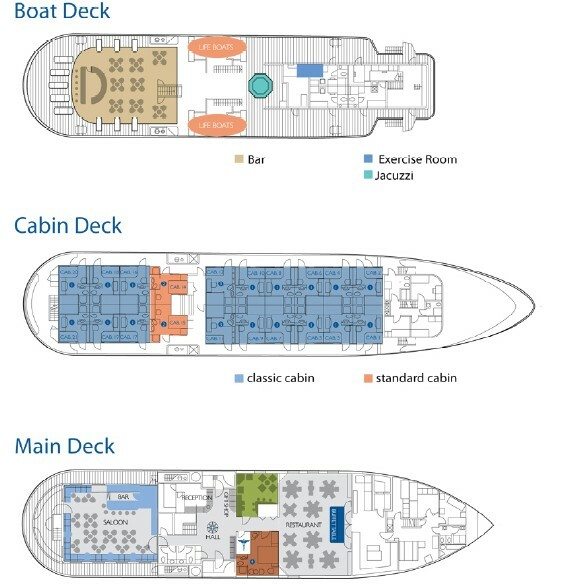 16 cabins on the Cabin Deck -- some with double beds and some with separate twins. 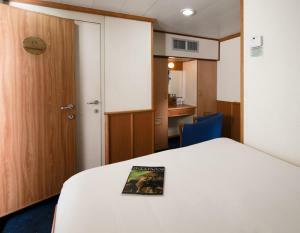 Some cabins have an additional twin bed and can be used as a triple. 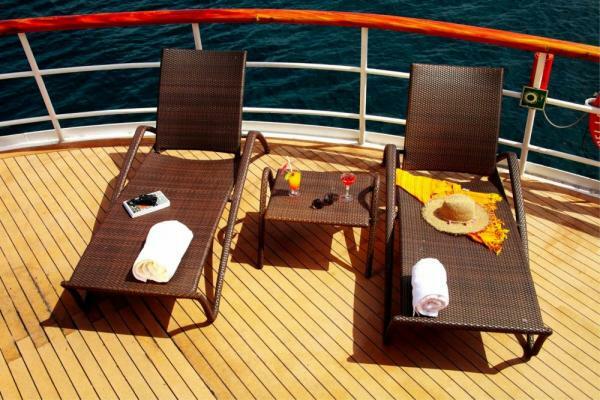 Located on the cabin deck. 1 suite with double bed. 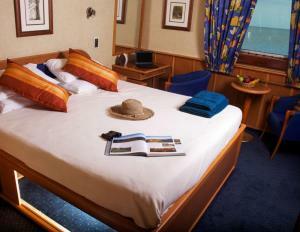 Located on the main deck.